Parking : Follow car park signs approaching Rosthwaite. There are toilets and changing facilities at the Institute. This race is a traditional part of the Borrowdale Shepherds Meet show (http://www.borrowdaleshow.org.uk/BSM) and was originally organised by local fell running legend – Billy Bland and his wife Ann. The Bland family also feature highly on the roll of honour. Weather conditions are often wet and windy – the race has had to be cancelled a number of times due to severe weather and floods. Navigational skills are required as visibility on Dale Head may be poor. A random or complete kit check may be done on the start line of the race. From the showfield, the race turns right on to the farm track to reach and cross the river Derwent. 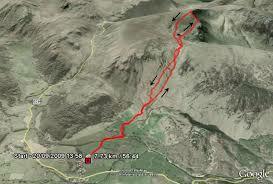 Runners must then follow the marked route across farmland as far as the gate at the base of the fell. A steep and rocky ascent through Rigghead quarry leads to a stile from where a visible path crosses soft ground to Dalehead tarn and a final steep ascent on the path to the summit cairn. 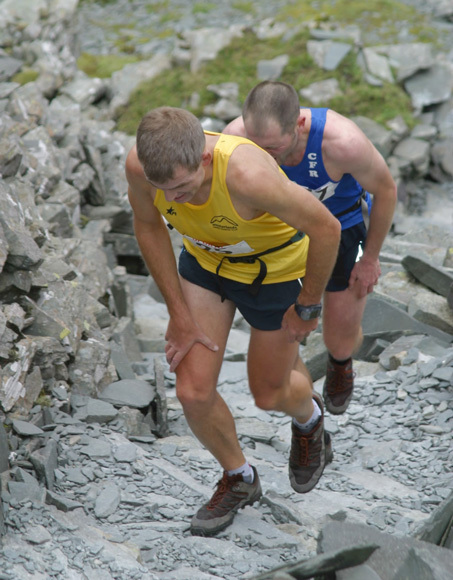 The descent to the base of the fell is by any chosen route but most runners will avoid the quarry by forking right to pass in front of a climbing hut and follow a grassy descent to reach the fell gate and then follow the marked route back to the showfield.